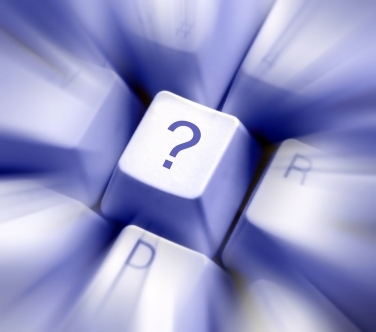 Ask Brad: What motivated you to keep going rejection after rejection when you were trying to find a teaching position? What made me never give up? You did! Everybody did! Tourette Syndrome did! As you heard in the movie, I didn’t want Tourette Syndrome to win! If I allowed it to win, then TS would always win. For me it was about no excuses! The first time you start making excuses for yourself, it is very difficult to stop. There were too many people waiting for me to say I can’t do it because of Tourette Syndrome. The more times I got rejected and denied a teaching opportunity, the more it made me what to get that job. I knew I could do it, I just needed to find one person that believed in me too. By my 25th interview, I had the confidence with my interview skills. I knew what the principals were going to ask before they even asked it. My answers were ready to go and I wanted that job. Many people have obstacles that are placed in front of them throughout their life. This was a pivotal moment for me. My mom kept saying “Come back to St. Louis because you know people here.” My dad said “To go be a substitute teacher and then I would eventually get the job.” But that’s not what I wanted. I couldn’t give in. By my 25th interview I wanted that teaching position so bad. And then it happened where I was finally hired as a 2nd grade teacher. Be motivated to prove others wrong when they doubt you! Set high expectations and get to that mark! Keep that positive attitude. Once it becomes negative, it is hard to go back! If you want something bad enough, sometimes you really have to work hard at getting it! Don’t look for self pity and for other to feel sorry for you. It won’t get you your job or the goal you have set out for any faster. Stay strong. What advice can you give others to help them achieve their goals? Have you struggled to achieve something that took you a while to get? Ask Brad: What is the first thing you would tell an aspiring teacher? ASPIRING TEACHERS CAN MAKE A DIFFERENCE! Today I was reading an email from a girl who is studying to be a teacher. She asked me “What advice can you give me?” and all these ideas came to my head. So, I decided to BLOG about it and share it with the world. PASSION – The best teachers teach from the heart. They do it because they love it, not because they get a few months off during the school year. PROMOTE POSITIVE ATTITUDES– This is important to do to the students, parents and the teachers in your school. We are all wanting the same thing, and that is whatever is best for the student. We are all on the same team so let’s look at the positive side of things! 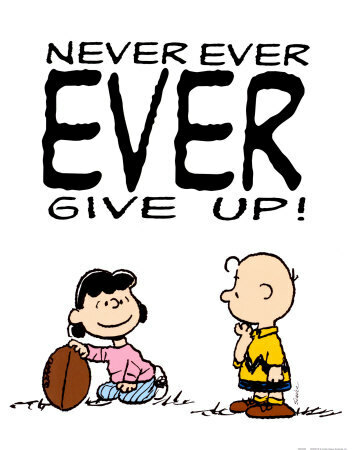 NEVER GIVE UP ON A CHILD– Why are you a teacher? I often believe we are teachers to be there for those kids that have nobody else fighting for them. Some kids have no voice, or don’t know how to speak up, or in some cases don’t really know what to say or what their needs are. As teachers, we must always believe that our students can learn and can be successful. 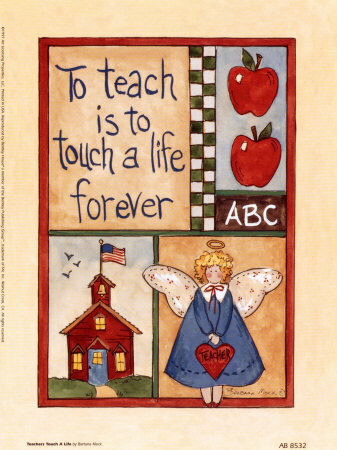 DON’T FORGET THE POWER OF ONE– That all is takes is for one teacher to make a difference in the life of a child. So, what do I tell you people aspiring to be teachers? Don’t pass the buck! You need to be that ONE teacher to make a difference in the life of that kid! THINK OUTSIDE THE BOX– It is so easy on a tough day to go back and teach students the way we might have been taught: to open the book to page 101 and do problems 1-30 and when they are done bring their answers to the teacher to check them. NO! Best practice shows that there are better ways to teach students then the way we learned years ago. Be hands on, give kids real life experiences, do problem solving, build a community with your class, engage those kids to work together on authentic work. Don’t just give worksheets in elementary school and don’t just give lectures in high school. Be original and go teach the way you might have wanted to be taught. It’s ok to have your students color outside the lines every now and then! FOCUS ON STUDENT’S STRENGTHS AND NOT THEIR WEAKNESSES– All parents know the things that their children do bad. You don’t need to remind them every single day. What if that was your child? Wouldn’t you want to know the good things your child does each day? It might not be easy, but it is your job as a teacher to dig deep, maybe deeper than you ever have before, and find that child’s strength and allow them to shine just like your straight A students. COMMUNICATION– I remind you to always communicate, and I’m not just talking about communicating with the parents. Sometimes you need to get down on your hands and knees and communicate with the child. Ask them what you need to do to help them be a better learner? Ask them why they are having difficulties in class? Sometimes it is not the student who has the issue, it could be you? Just be willing to listen and have an open mind to try something new to help some of your students. Remember- your learning style might not be the same as their learning style? Change could be good for the entire class? BE YOURSELF– Bring the great things about you to the class. For me, being a male in elementary education was different because it doesn’t happen often. I brought my love of sports to the classroom. My feeling was I could introduce my students to many things in one year that they might not have for the next ten years. Bring your talents to the class, you will have some kids who will follow your footsteps. BE A LIFE LONG LEARNER– Your learning will not stop once you graduate and get your first job. In matter of fact, your true learning has just begun! Continue doing staff development in your area and take classes to learn the latest and greatest. Form professional book groups at your school and read about the same topic of Reader’s Workshop or How to Engage Your Students More. Then have conversations and improve your teaching abilities. Go to conferences and listen to speakers in the field of education. Continue learning technology just to keep up. And 100% go to grad school and get another degree, it will only make you a better teacher. READ AND WATCH FRONT OF THE CLASS– Of course I was going to add this to the list. Not because I say so, but because the amount of emails I’ve received since the movie aired on CBS told me this needs to happen. I truly believe that both teachers and students can become better people after learning about my story. I know book groups are forming and many schools are showing Front of the Class to their students. The conversation that will happen afterwards will be a powerful lesson that everyone can learn from. I’m currently working on a “Teachers Guide” to go along with the movie to focus on Character Education words that go with the movie. Should be ready soon. What would you tell aspiring teachers as they enter the classroom? Ask Brad: Why did I write the book, Front of the Class? As I’ve been going through the numerous email, this question keeps popping up. The reason I wrote Front of the Class was because I knew I needed to share my story with other people as it truly made a difference and changed people’s lives. I knew I could help people in Atlanta, GA and even in St. Louis, MO, but how could I help people in Austin, TX and Seattle, WA or New York, NY? The book was my way of sharing my story. Then it was turned into a Hallmark Hall of Fame Movie. HOPE- I wanted other people who have some sort of disability or weakness to know that they can overcome their challenges and live a successful life. Often parents of a child with a special problem just want to have some sort of hope that their child can grow up and find success. SUPPORT-I wanted others with Tourette Syndrome to know that they were not alone. Many times people with TS have never met someone else with TS and they think they are the only one dealing with their issues. And even those who don’t have TS but have other issues in their lives, when I opened up my feelings for others to read and see, they learned that they are not alone. RELATIONSHIPS – My story shows how moms and dads react differently to different situations. If another parent can learn from my mother’s support or my father’s mistakes earlier in my life, then I know I’m helping other families and that means a lot. The relationship with my wife is another important aspect as true love can be found even if you are a little different. TEACHERS- I like to call it, THE POWER OF ONE, that all it takes is for one teacher to make a difference in the life of a child. Who will that teacher be? YOU? Or next years teacher? I make the challenge for YOU to be that teacher who makes a difference in the life of that child who needs you most right now! EDUCATION- Just like my middle school principal called me up in front of all the students to educate them about TS, I hope that others will learn that being up front, open, and honest about their disability does have its advantages. I’m not saying this is perfect for everyone, but for me, it changed my life. There is power in education! What lessons did you get out of the book/movie? Ask Brad: What medications or alternative medicines should we take for Tourette Syndrome? To med or not to med, that is the question? To med or not to med, that is the question? And although you are looking for me to give you a quick fix answer, unfortunately I can’t. In matter of fact, every person living with Tourette Syndrome reacts differently to the medications. So it is hard for me to come right out and tell you a medication you should use. But what I can say it that there are a lot of options. Alternative natural approaches have proved to work for many people. Things like staying away from artificial flavors, high fructose corn syrups, certain dye colors in food and much more could help you. Or certain diets to have high fish oils or lots of protein could help. Shelia Rogers wrote a book titled Natural Treatments for Tics and Tourettes which could be beneficial to read. The main thing to remember is that there is not a cure for Tourette Syndrome. The other important factor to consider are the side effects of medications. A lot of people with TS also have Attention Deficit Hyperactivity Disorder and Obsessive Compulsive Disorder and the medication that helps one issue could make the other issues worse. So I always say treat the issues which is the biggest problem at the time, then move on to the others. Often times people say the OCD is worse than the ADHD and TS issues. Once again, it is different for different people at different times. When we discuss medications, I STRONGLYsuggest speaking with a doctor first. They have experience and know the potential side effects. Some medications require EKG’s be done to track the heart while other medications may cause low blood pressure. Please seek medical advice when it comes to medications. You can check with your local Tourette Syndrome Association for a list of recommended doctors in your area who deal with Tourette’s. There may also be some support groups where you can chat with other parents about what has worked for their children. I’d also recommend the book Children with Tourette Syndrome: A Parents’ Guide. This has much needed information which could help. These are just a few things I have seen work for me and others. Can you think of other things to add to this list? Ask Brad: At what age should we start telling people our child has a disability? This is one of the most frequent questions I have been getting. I believe that it is never too early to educate others about your disability or weakness you may have in life. As you saw in the movie Front of the Class, after I educated the students in Middle School, life started to get better for me. I soon began telling the same 2 minute speech about how I have Tourette Syndrome on the first day of school in each class I had. I then did it at big conventions for my youth group, I did it on the first day of camp and much more. It just began to be part of me and my way of surviving a life with TS. I’ll never forget that day in Middle School when we educated everyone about TS. It was like this huge weight was lifted off my shoulders. Finally TS wasn’t just my secret, now it was a chance for others to make the decision of how they were going to handle the news. Were they going to accept me as who I was, or would they make the choice to not be my friend because I was a little different. Either way was fine with me. I’ve known what it was like to have no friends. I’m not sure it could get any worse? Click here to go to my website author page where you can scroll down towards the bottom and click on the “Listen to Brad Read a Chapter” section. Press play and listen as I read the part in the book where I gt up to educate the students about Tourette Syndrome. So my advice is to educate people early. It is never too early to tell others about TS. Many times other people just don’t know. So by being up front and honest about living with TS, it helps others understand the issues you are going through. Books like Front of the Class or Tic Talk– Read the entire book or just pick short passages to share and then discuss how it relates to you. If it is another issue, find books that talk about your topic. Movies like Front of the Class or the HBO special “I Have Tourette’s But Tourette’s Doesn’t Have Me” These are both great resources to use. Each has a resource guide to go along with it. There are many movies for many topics available. Comic books about TS. The TSA of Georgia has them. Click here to order them from Tricia. A Question and Answer Session with the child and the teacher with the class listening. Disability Awareness Week- Have the child educate others about the issues they deal with everyday and then tell the students how they can help. Do a fundraiser for your charity. Have education happen along the way. Many of these ideas could help you educate others who are not aware of your issues. What other ideas have you used? What are some ways we can make it easier for children to educate others about Disability Awareness? What is the youngest age you have educated others about your issues? Movie Question: Does Brad really like Milli Vanilli? Yes the rumors are true, we love Milli Vanilli! Absolutely! Sometimes things are made up in movies and sometimes the movie is totally correct. 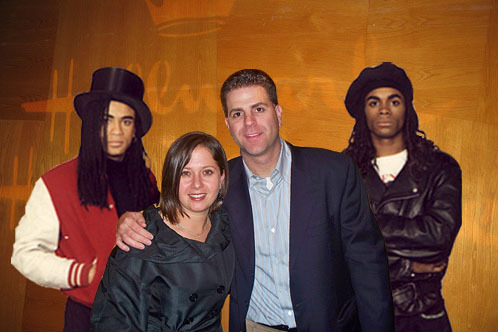 My friends can verify that both Nancy and I really do love Milli Vanilli. It is our goal that Milli Vanilli will make a comeback after the premiere of Front of the Class. Do you like Milli Vanilli or are we the last two genuine Milli Vanilli fans? Movie Question: Was the Trucker Buddy program real? Was Maxine real? Yes it was! Are you a teacher interested in doing a great geography unit with your students. Here is the link for the Trucker Buddy Program. Sign up now and get a trucker buddy to travel around the nation and be your classes pen pal. As you saw in Front of the Class, the kids love it and maybe someday your trucker buddy will be in your area and surprise your class just like “Maxine” surprised our class. Is this a project you think your students would enjoy? 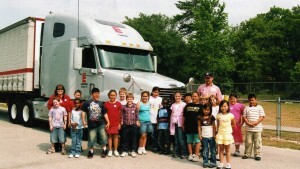 How would you use the trucker buddy program in your class? 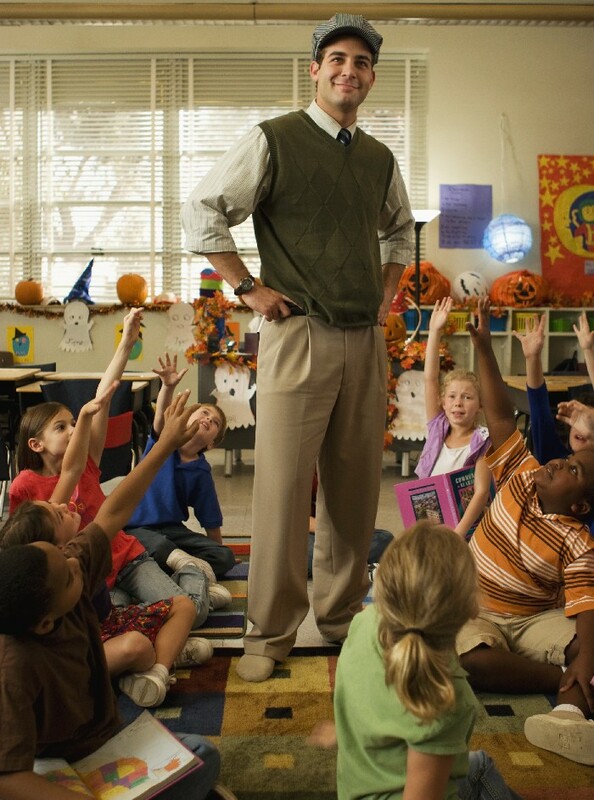 Movie Question: Can teachers show Front of the Class in their classrooms? It is my hope that teachers will use Front of the Class to share my story with their students. Between the bullying that takes place to Brad saying “I just want to be treated like everyone else” their are many lessons to look at with Brad Cohen’s story. So many Character Education words come to mind that were a central theme in this story. ATTENTION TEACHERS and EDUCATORS and PARENTS: What lessons would you teach in the classroom after you show Front of the Class to your students? What conversations took place after parents and children watched the movie together? I’d love to collect your thoughts so I can create a “Teacher Guide” to distribute to go along with the movie for when classrooms and families watch the movie. PLEASE SHARE! Movie Question: When will the move be available on DVD? And where can we buy it? 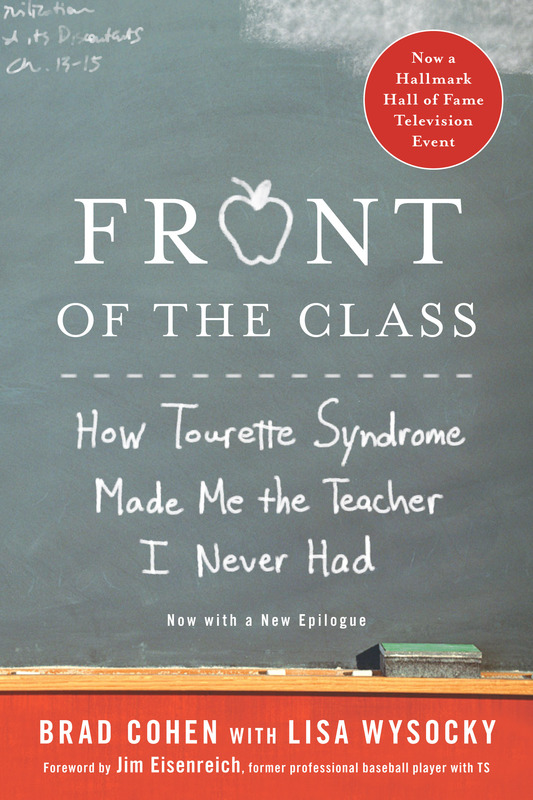 Sign up now to learn when Front of the Class will be for sale on DVD! It looks like the #1 question I keep getting is “When will “Front of the Class” be available on DVD and where can we buy it?” People also want to know if the movie will rerun on TV. The way it looks right now is that no, it will not rerun on TV for at least 1 year and then it might go to the Hallmark Channel. 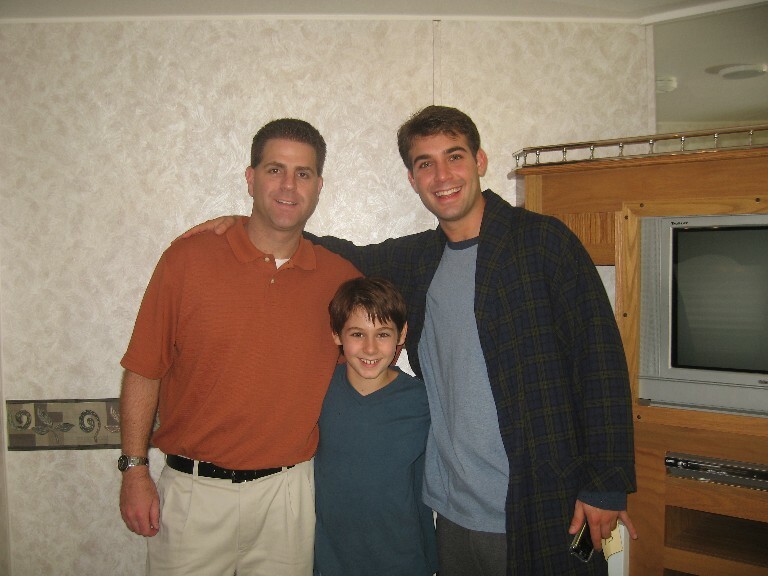 Brad Cohen’s story will be available for purchase sometime in March in Hallmark Stores across America. Click here and sign up on Brad’s Website Mailing List as he will update everyone once he knows when the DVD will be for sale. You’ll find the sign-up in the bottom right hand corner of his website. Are you planning to buy the DVD? Is it going to be for you or for someone else to watch? You are currently browsing the Class Performance blog archives for December, 2008.